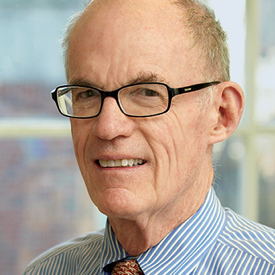 Richard B. Stewart is University Professor and John Edward Sexton Professor of Law at New York University, and Director of NYU’s Center on Environmental, Energy and Land Use Law. He is an internationally recognized scholar in environmental law and policy and administrative law and regulation. His current research interests include nuclear waste regulatory law and policy; global regulation and administrative law, the use of economic incentives for environmental protection, international and domestic climate change regulatory policy, and the precautionary principle of environmental regulation. He has been extensively involved in climate policy issues and in environmental law reform projects in China and Central and Eastern Europe. During 1989-1991 Stewart served as Assistant Attorney General for Environment and Natural Resources at the U.S. Department of Justice, where he led the prosecution of Exxon for the Exxon Valdez Oil Spill and the development of the U.S. position on the 1992 Framework Convention on Climate Change. Prior to joining the Justice Department, he taught at the Harvard Law School and Kennedy School of Government for 18 years, and practiced law with the Washington D.C. firm of Covington & Burling. He also served as Special Counsel to the Senate Watergate Committee and as a law clerk to Justice Potter Stewart of the U.S. Supreme Court. He was formerly Chairman and currently serves as Advisory Trustee of Environmental Defense Fund. Stewart was a Rhodes Scholar, and is a member of the American Academy of Arts and Sciences and the American Law Institute. He holds honorary degrees from the University of Rome “La Sapienza” and Erasmus University, Rotterdam.